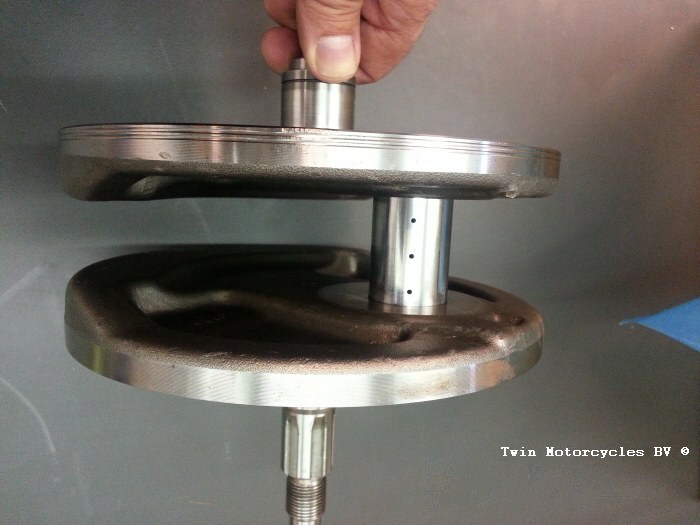 3-12-2013 - We could already offer to repair a flywheel, as a new pressed crank is very expensive, but we felt we could do it better, and make it stronger then you can buy in the market. The biggest problem was the Tooling that was made, we needed a special press that way constructed constructed that we could press in the pins under controlled conditions and speed so the pins would not go in in with a lot of heat or friction so a lot of controlled force was needed ( heat between parts caused heat by pressing friction ) In the picture below you can see the press that was constructed. we can press now different size crank pins to. 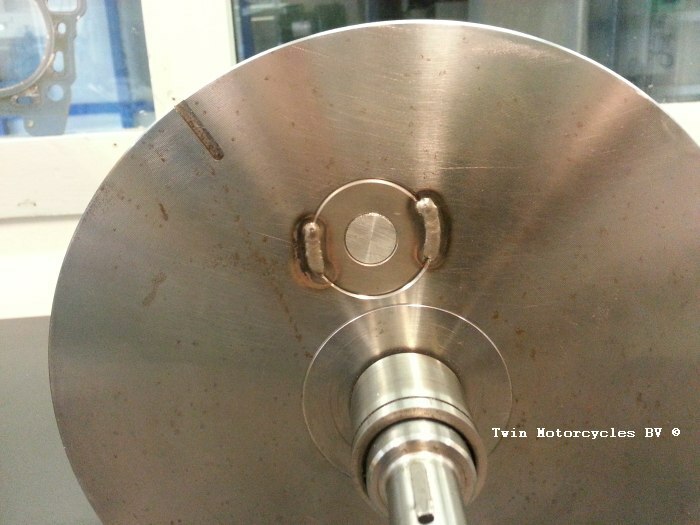 we are using in our newly made big end pin a high quality tough steel so this makes this tough enough to take the punishment from a Buell rider, and give a good bearing surface hardness to last longer. Above you see our new Big end pin we sell also, used with our nw new developed bearing cage that are made from a very strong material much better then the cheap stock ones. 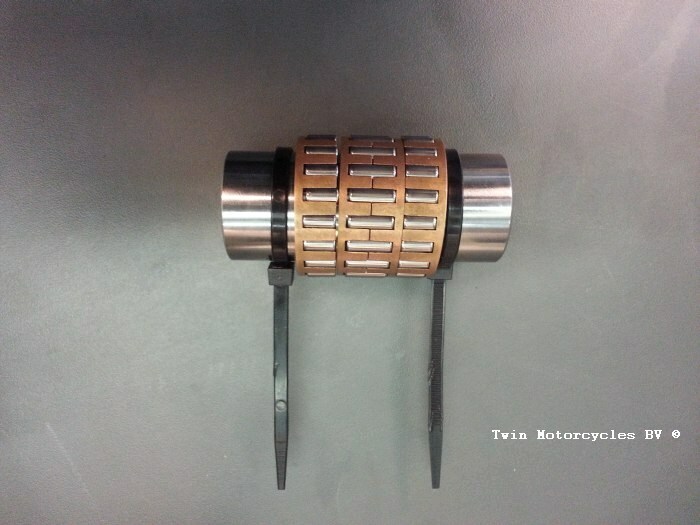 In combination with our side play shims and connecting rod races specially made to size on every crank we get we will guaranty a perfect repaired Crank assembly , better than New and it will last a lot longer then the OEM.